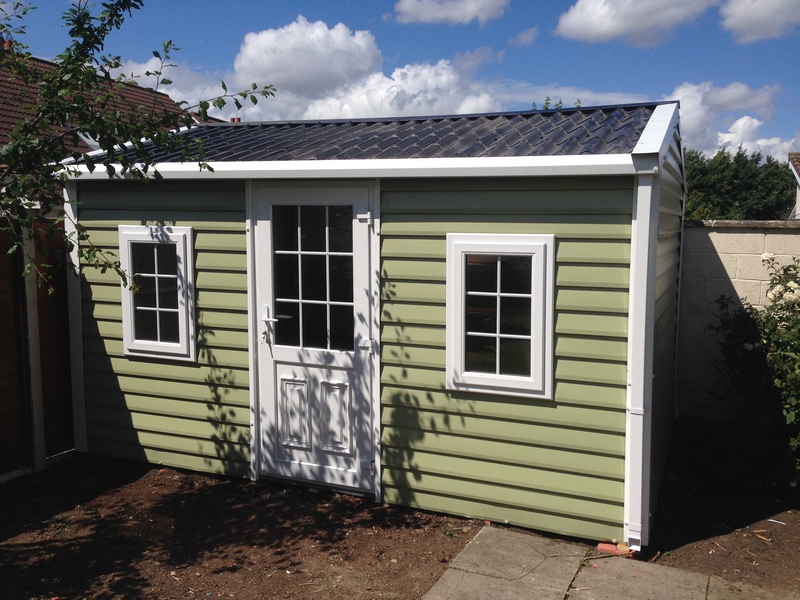 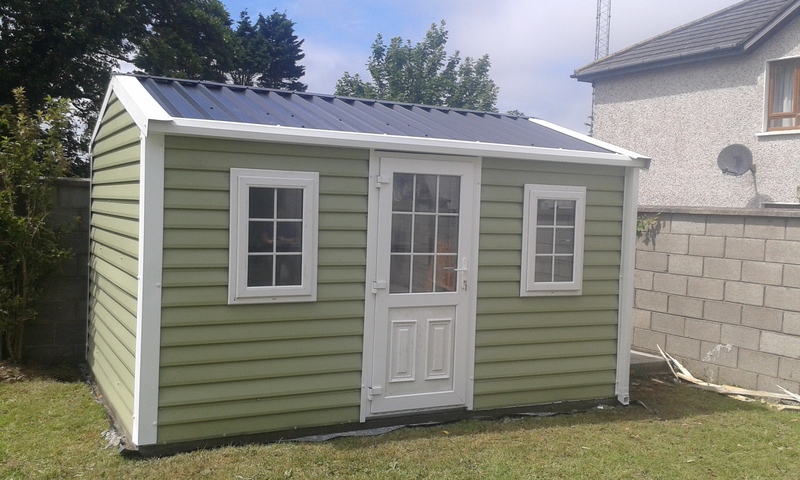 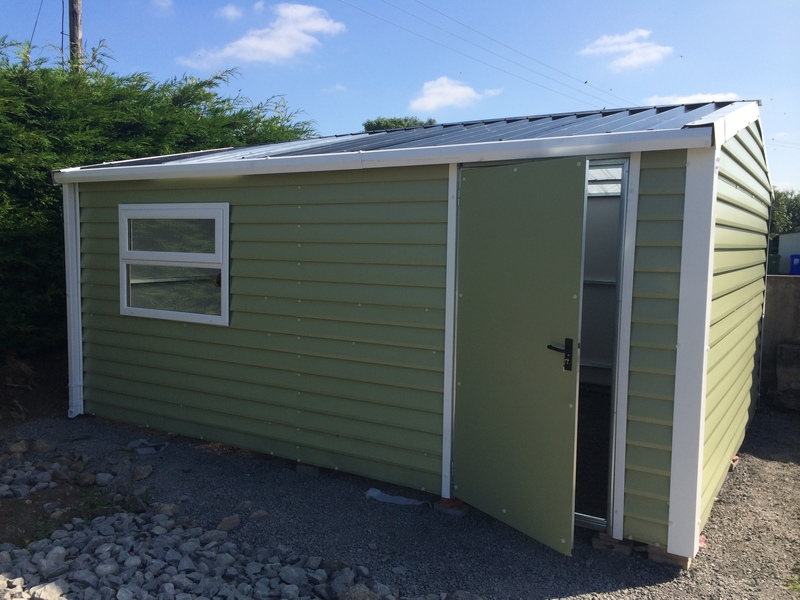 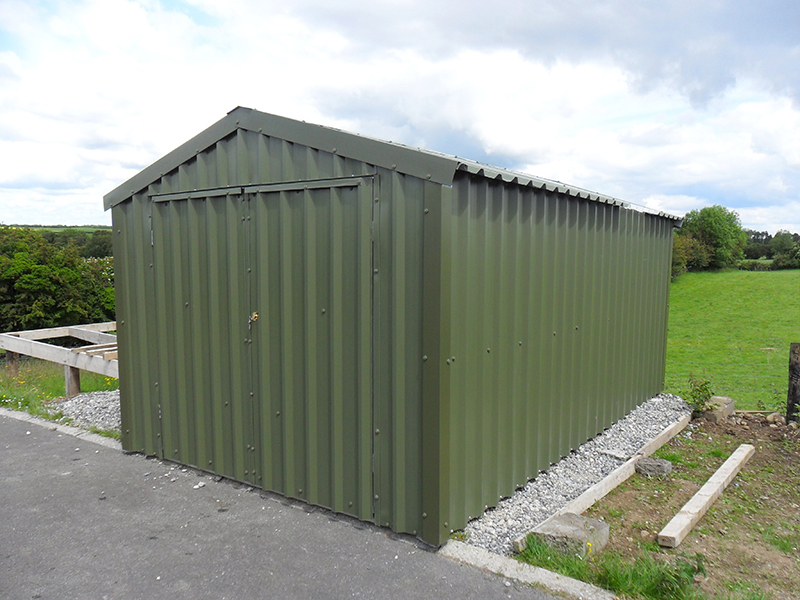 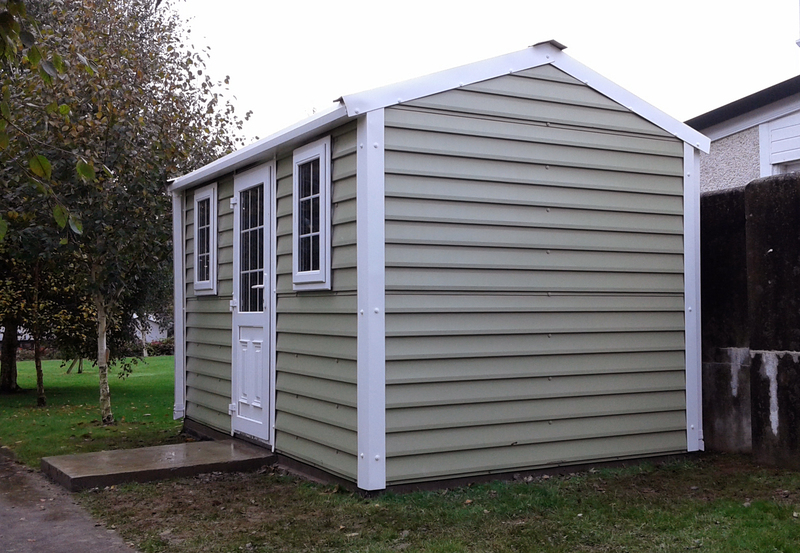 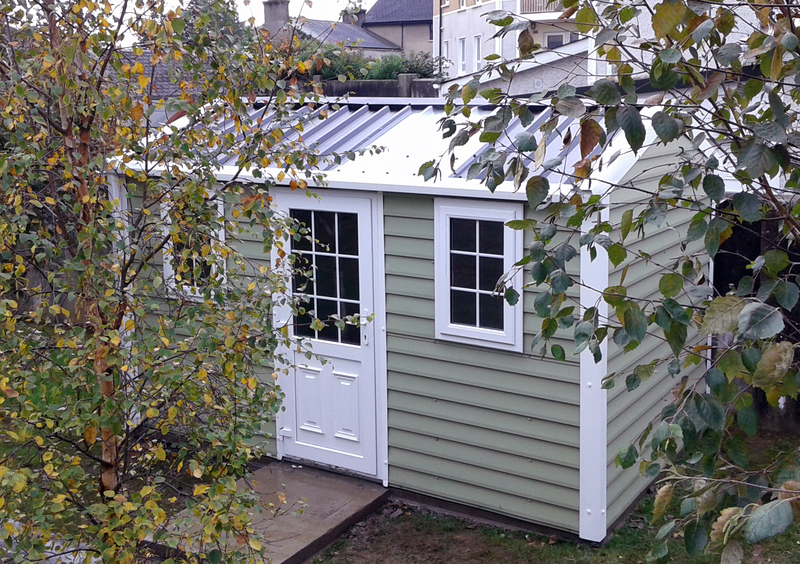 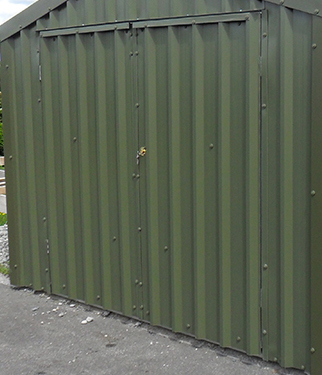 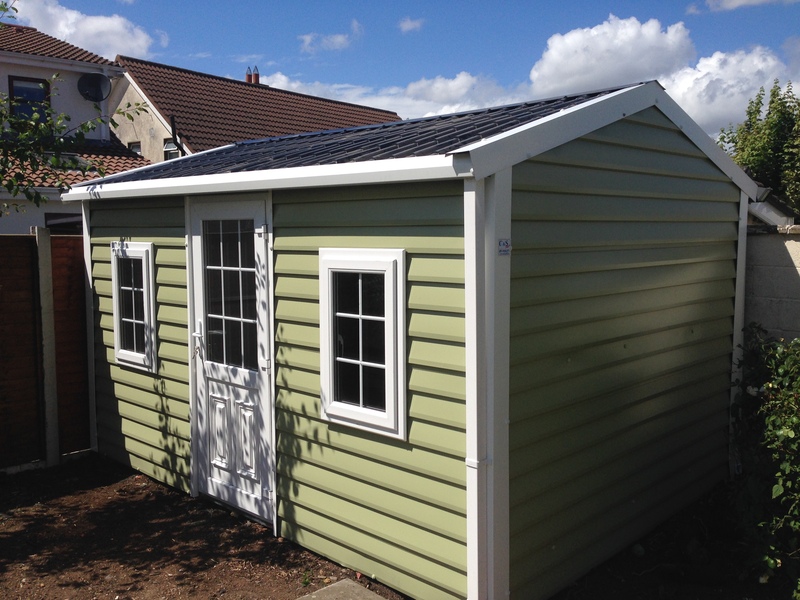 The Aspen style of steel shed combines the finest architectural features with the functionality that is expected of a top quality garden shed. 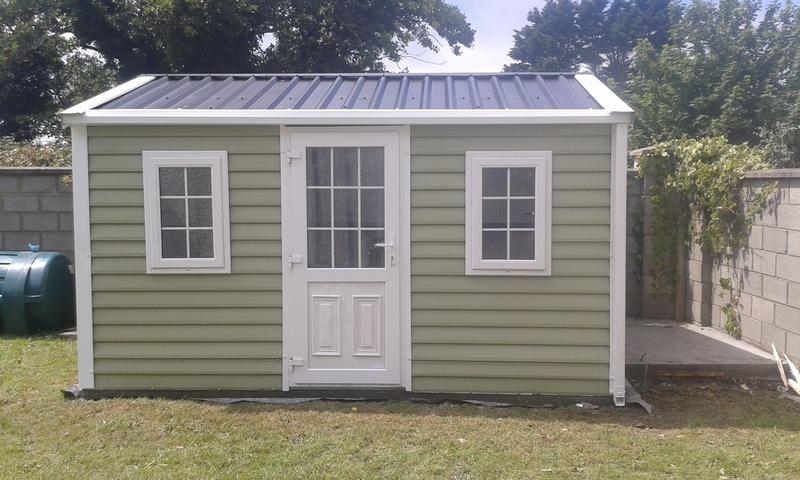 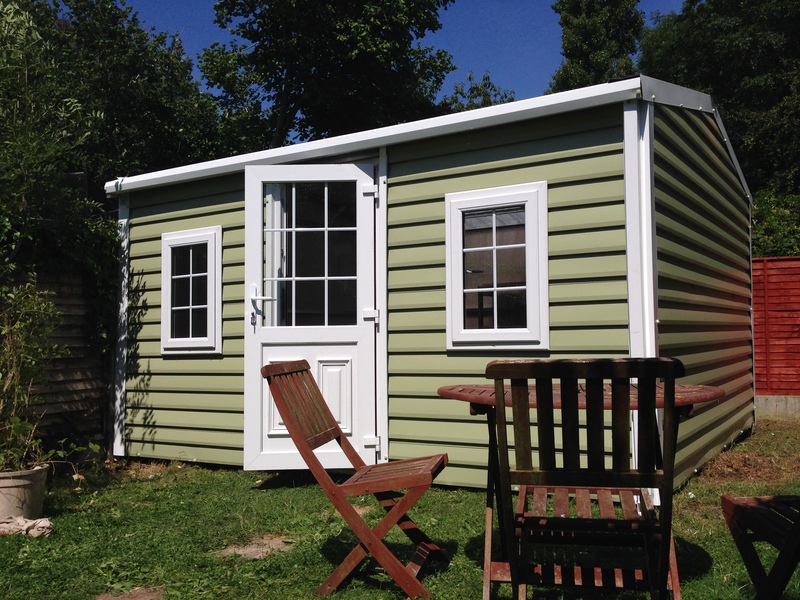 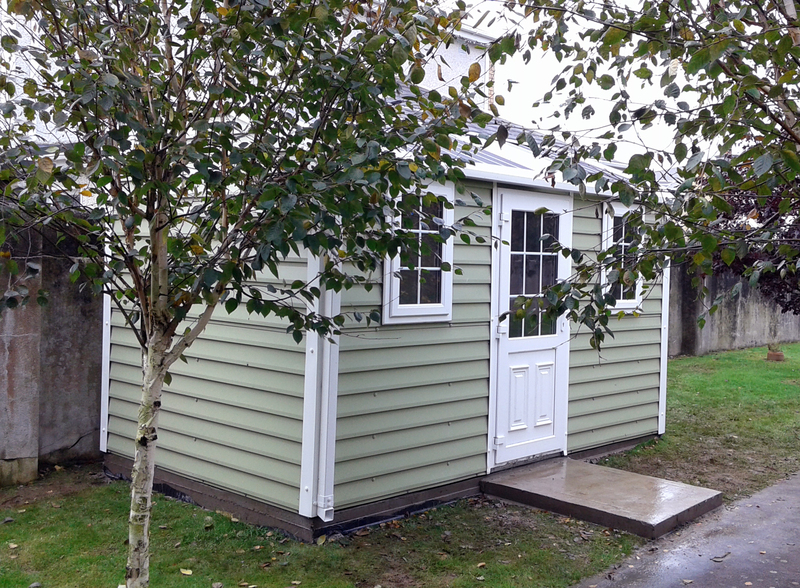 The Aspen range is both practical and stylish in design, made from the same prime PVC coated steel as all our other buildings, but folded to give a classic, shiplap look to your garden building. 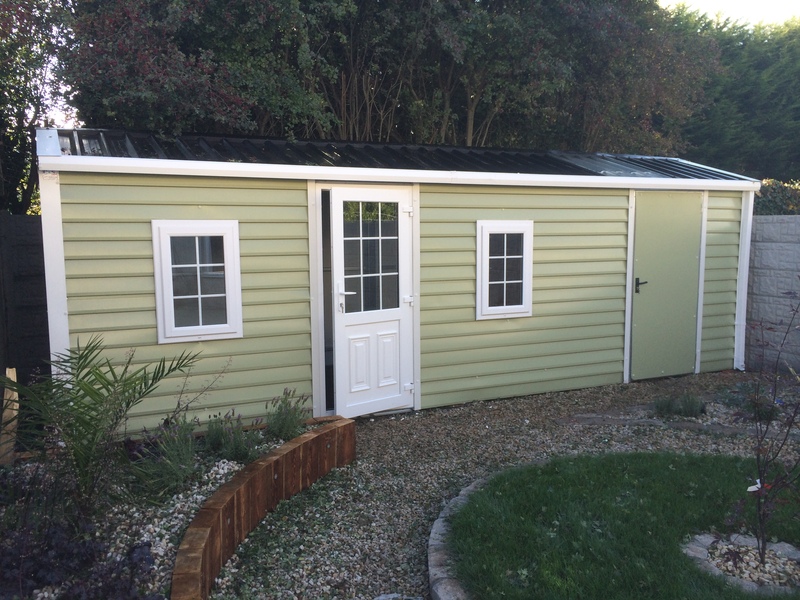 The beautiful pastel colour scheme of moorland green cladding with white features will blend comfortably into any back garden. 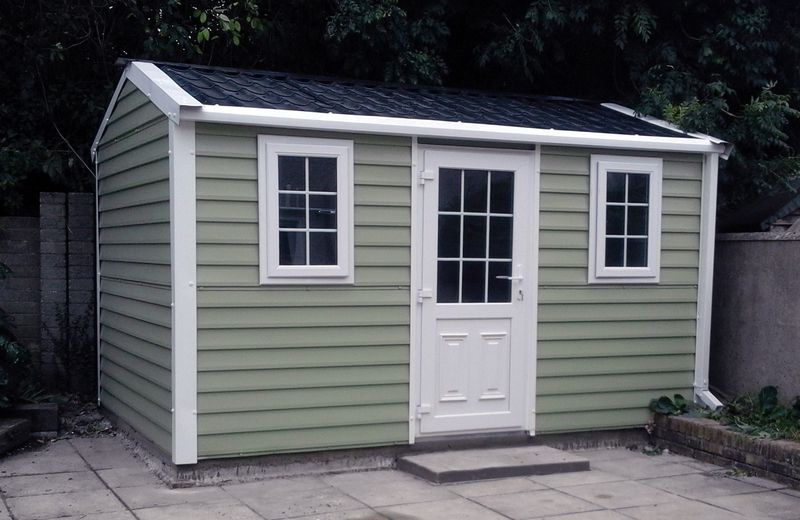 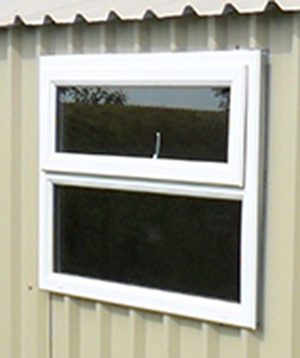 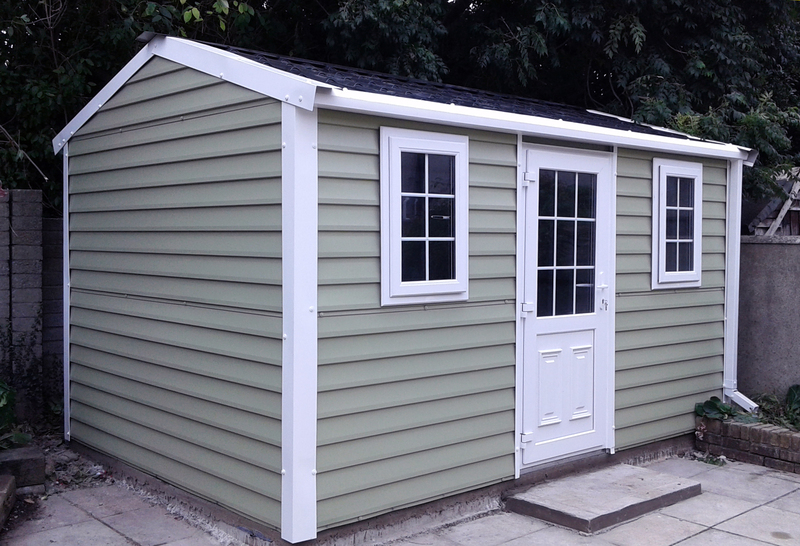 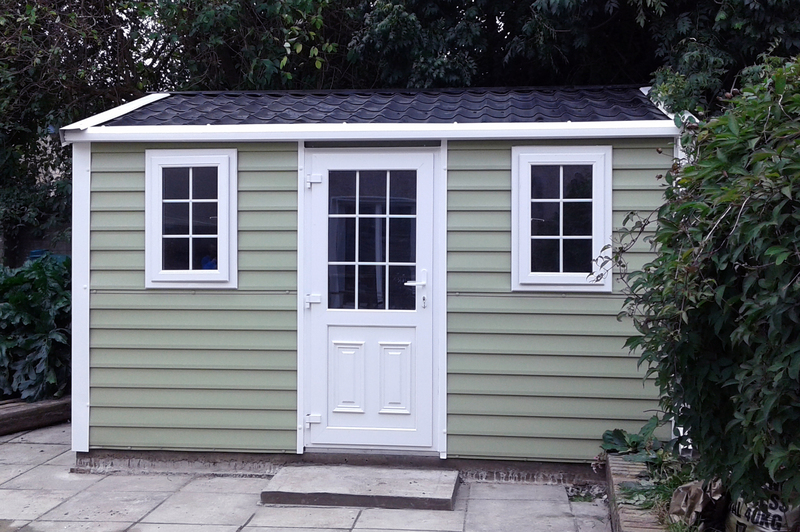 The Aspen range sheds come as standard with a victorian style PVC door and two opening windows, with white gutters and downpipes included. 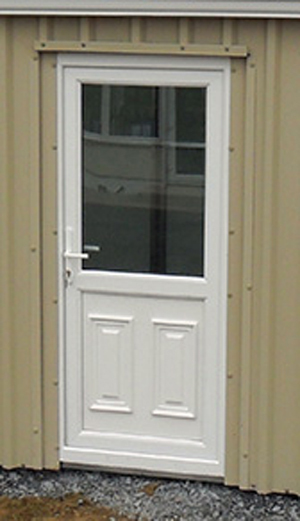 The extra height of the 7’ walls, going up to 8’6” at the apex give the feeling of great space inside.